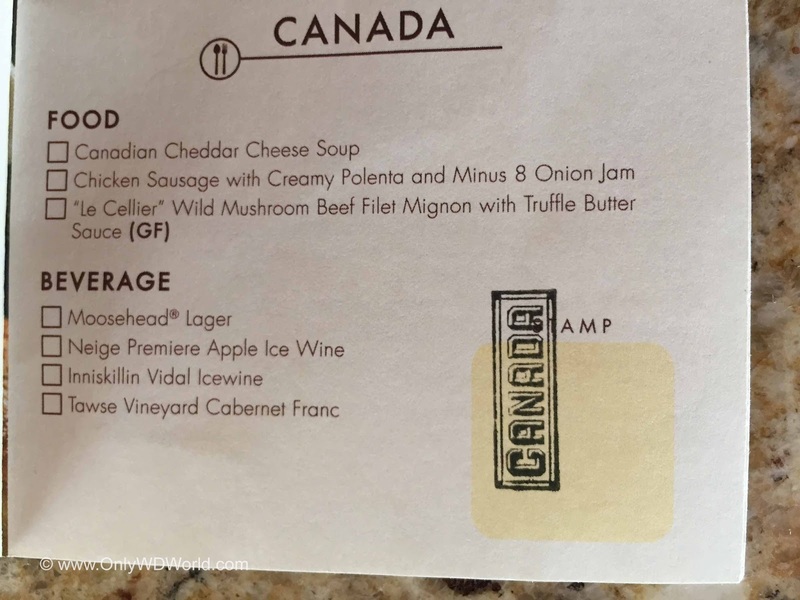 The Canada Marketplace is one of the over 30 food and drink locations to be found during the 20th annual Epcot International Food & Wine Festival. 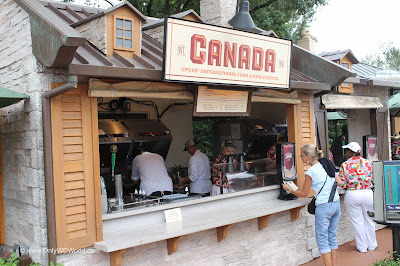 Located on the World Showcase walkway near the Canada Pavilion, this pavilion is consistently one of the most popular ones each year during the Festival. As one of over 30 different International Food & Drink kiosks that have been erected around Epcot for the Food and Wine Festival, the Canada Marketplace almost always draws a crowd. 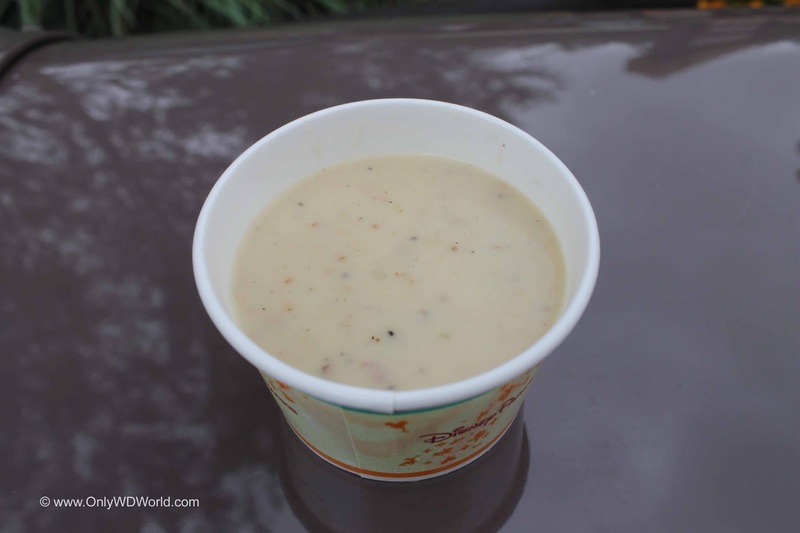 The Canadian Cheddar Cheese soup has earned legendary status and that is just one of the incredible choices to be found here. 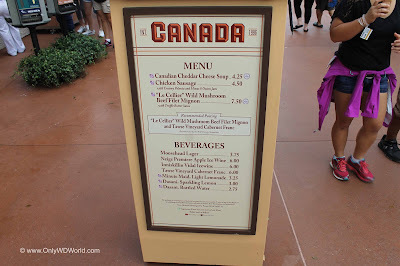 The Canada Marketplace has a great menu of food and drink to enjoy. It is well balanced with great choices on both. The Canada Marketplace is one of the most crowded locations at the Epcot F&W Festival each year and this year is no different. Canada has earned this lofty reputation by offering consistently great foods and drinks. The Cheddar Cheese Soup that has been a staple of the Le Cellier Restaurant is expensive and doesn't look overly impressive when photographed in a small paper bowl, but one taste quickly reminds you why so many people are wiling to overpay to get a few bites of this incredibly tasty soup. 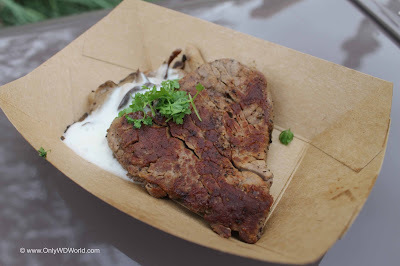 We also sampled one of our all-time Disney World favorites the "Le Cellier" Wild Mushroom Filet Mignon. 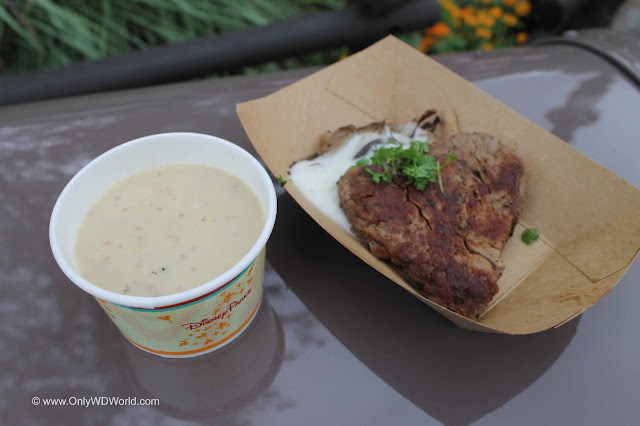 Although our sample was a little overcooked for our preference it was still incredibly tender and flavorful. A definite winner and a deserved Festival Favorite. Filet Mignon doesn't come cheap, but this is really good! Our best recommendation is to visit the Canada Marketplace early in the day or mid-afternoon before the big rushes during the evening hours. The food is definitely worth the wait in line! 0 comments to "Canada At Epcot International Food & Wine Festival"